Lobster Mac and Cheese, with succulent pieces of wild caught fresh water lobster, is possibly the best macaroni and cheese recipe you’ll find! 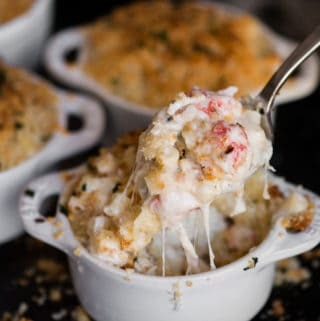 Now, even though I cheat and use langostino instead of true lobster, once you smother it with the heavenly cheddar gruyere cheese sauce and crisp topping, no one will argue! Lobster Mac and Cheese is such a decadent meal, but I would argue it’s worth every calorie! This recipe combines tender cooked pasta with a creamy cheese sauce and tender bites of seafood. 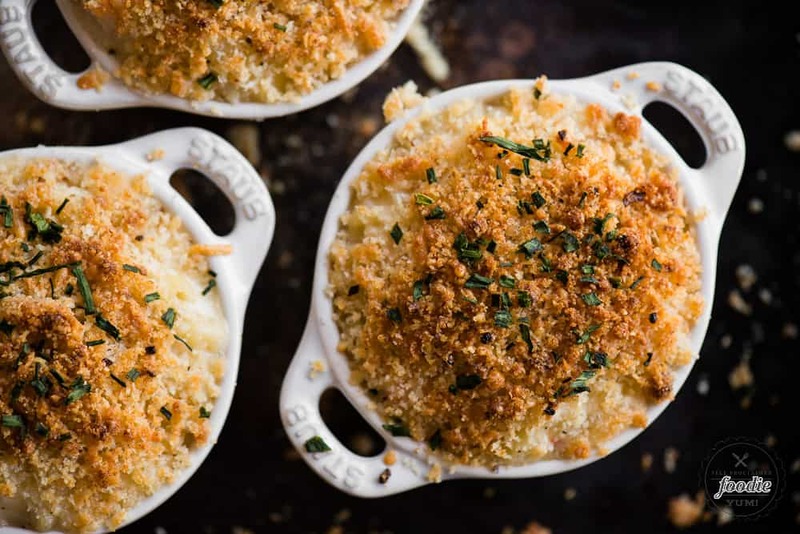 You can totally make a pot of this lobster mac and cheese and eat it right out of the pan, but I love to bake it in the oven with a parmesan and panko crumb crust. This is truly a decadent and delectable recipe. The creamy gruyere cheddar cheese sauce is perfection. Plus, it is super fast and easy to make since the lobster, or langostino, meat I recommend using is already cooked. Simple! Cheese Grater – doesn’t freshly grated cheese always taste so much better? Whisk – do you have a good one? You should. Lobster Mac and Cheese, with succulent pieces of wild caught fresh water lobster, is possibly the best macaroni and cheese recipe you'll find! 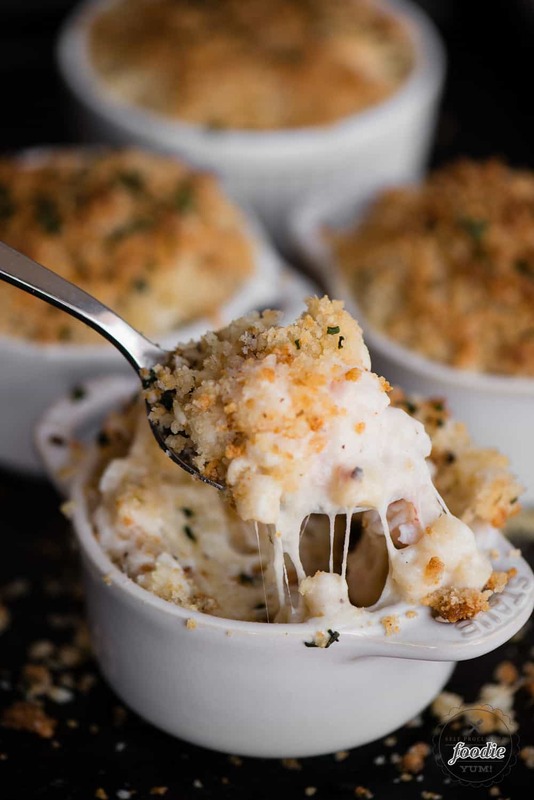 Now, even though I cheat and use langostino instead of true lobster, once you smother it with the heavenly cheddar gruyere cheese sauce and crisp topping, no one will argue! I used a gruyere cheddar blend from Trader Joe's, but you can also do equal parts of gruyere and cheddar. Hi Krissy….! am a big fan of cheese and this is one of my favorite recipe till now. 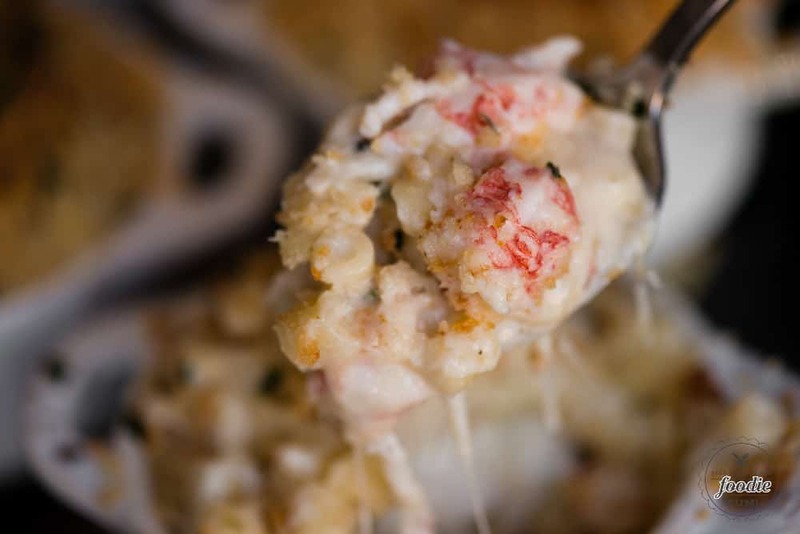 i will definitely tried to making this lobster mac….such a amazing recipe…Thanks for sharing…..!